With Jason Cummings gone back to the City Ground in Nottingham, Joe Dodoo on the verge of clinching a loan to League one outfit Blackpool, Eduardo Herrera trying to seal a move to Chivas and Ryan Hardie’s deal expiring, Rangers’ only apparent recognised senior striker on the books is similarly potentially-departing Alfredo Morelos. To call the options up front threadbare is something of an understatement and thankfully Mark Allen and Steven Gerrard are working their backsides off to recruit new talent. The most linked players recently have been Bournemouth’s Jermain Defoe, Swansea’s Oliver McBurnie and Liverpool’s Dominic Solanke. McBurnie had looked close with sources claiming Rangers had submitted a £5M bid for the Scotland international, and the player himself seemingly interested in the move, but it has gone a little quiet recently and hopes are that work is being done behind the scenes to complete this deal. It’s unclear if Rangers are interested in a loan or permanent deal for the England international but he would be a useful addition either way. 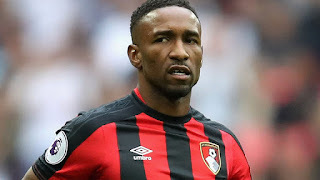 Lastly (for now) we have Defoe – getting on in years, the former England international has had an illustrious career and while he is not the player he was, he should be capable enough in the SPL. He’s been on the radar for some weeks now but we just aren’t clear on how serious our interest is. Rangers need defenders and strikers. Midfielders, wingers and attacking midfielders we are pretty stocked up with, and strikers especially need to start arriving in good time before next month’s UEL first-round tie. Hopefully some names get sealed soon. I'd be happy with any or all of them. Another player we should go for is berahino at Stoke, doesn't get a game, relegated, Stoke are signing another striker. Would be a great move for him to get his career back on track and would run riot up here. £5 million for McBurnie would be a colossal waste of scant resources. I don’t see him as much of an upgrade on Cummings who himself did not really do enough to warrant a deal. Defoe simply isn’t going to happen - so that leaves Solanke. A loan deal with an option to buy would be the preference. We really do need to widen the net though. As I’ve said before there are very few bargains to be had in England and a whole world out there to shop in. Escobar and 3 others will burn the leauge UP. 3 defenders and 1 more attacking midfielder with Middleton joining in. All looking good for me so far!! We should give Hardie a two year extension on wages in par with the foreigners. Disgraceful the way we treat 'Our Own' countrymen when wastes of space like Dodoo, Forrester, Herrera, O'Halloran, Cardoso, Foderingham, Cummings, Dorrans, Halliday, Holt get a good wage and apart from Wes have done little or nothing to justify keep out the younger players coming through but not given a fair crack of the whip. Middleton should be along with Burt, Hardie, Bajonas,Docherty and other young uns tried in pre seasons before the Euros start. Certainly b4 spending on 38 - 90 year olds. Hardie isn't good enough. EIGHT goals for Livingston. Do you really think we should target players who score 8 goals in the Championship? Hardie, you are joking? What has he done to, in any way,deserve a new deal? When he goes on loan, he always starts on fire, scores a few goals, then within 4/5 weeks, he stops scoring and can't even get in the team. Happened again this season. Then Goldson, Bartley and Isherwood. Solanke ...Loan but if Fair Price then make permanent! ...would Tear it up in the SPL! And Not Sure on Other Strikers but I wouldnt go for Defoe & Id Sell Morelos!